When PAX is underway, the cosplayers will play! 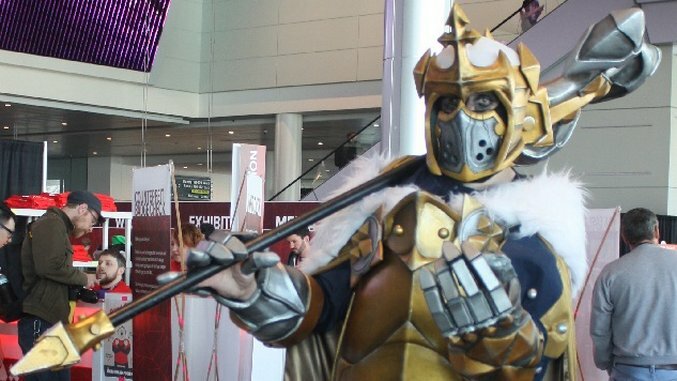 This year’s PAX East, held at Boston’s Convention and Exhibition Center, was home to a host of innovative and creative fans dressed as a wide array of characters from across the fictional spectrum. We managed to catch up with some of them to get a snap of their stunningly detailed costumes, each crafted with skill and passion and maybe just a touch of double-sided tape. From She-Ra to Tiny Tina and the heroine of Transistor, check it all out in our PAX East 2016 cosplay gallery.